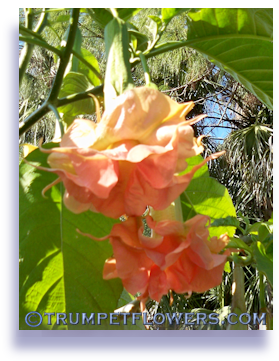 My trumpet flower Ann Sessions sometimes colors up almost lavendar. 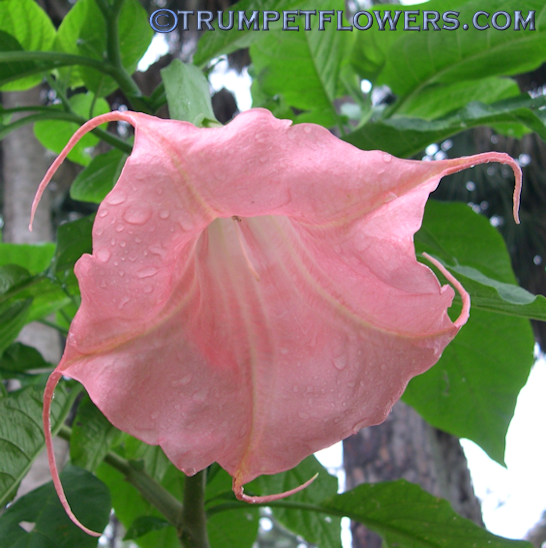 This depends upon the time of year, as angel trumpet flower colors are influenced by outside temperatures. 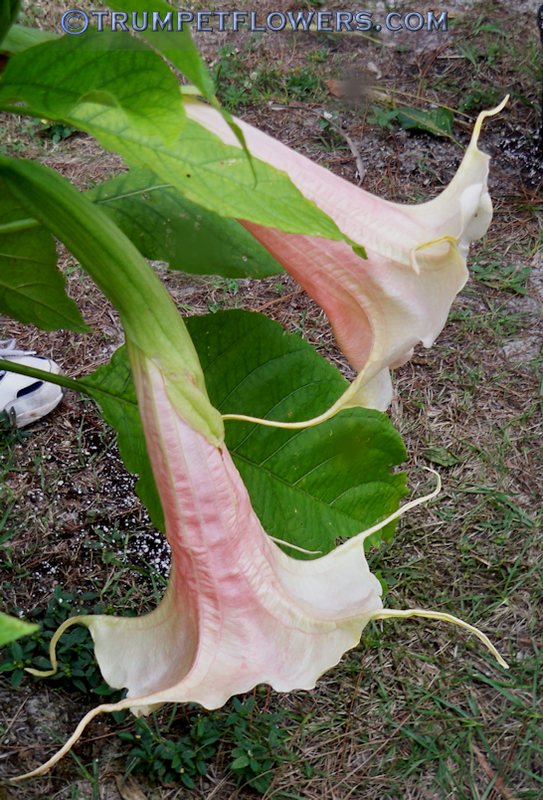 Ann Sessions has a strong baby powder scent. 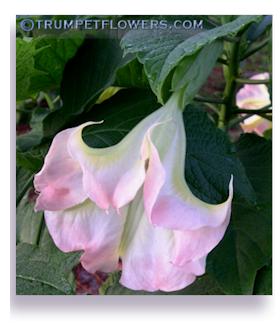 Here Angel Trumpet Ann Sessions has colored up in different hues and colors. 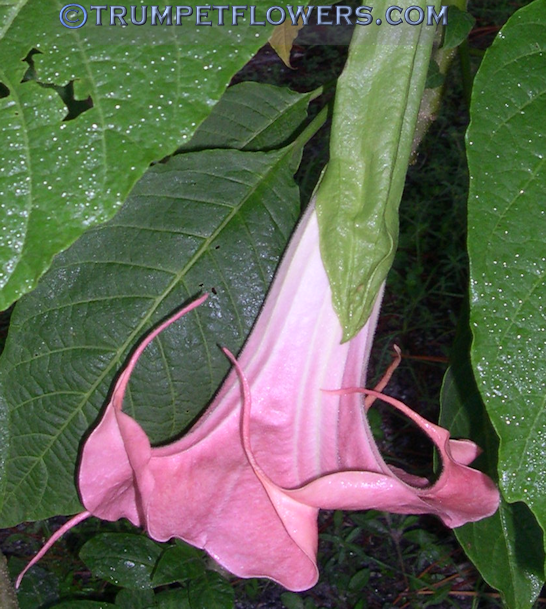 The weather has turned cooler, and this often happens to many cultivars of brugmansia when weather cools or has a sharp temperature change in a short period of time. 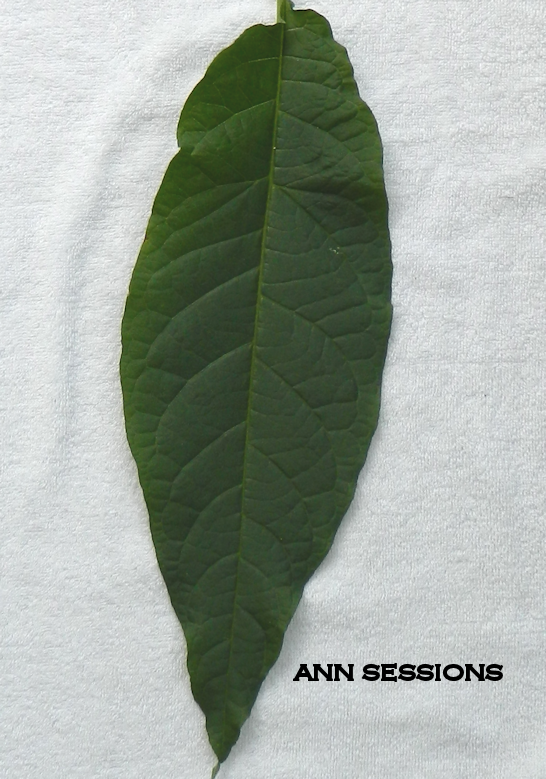 Ann Sessions has large, shiny leaves with slightly toothed edges. 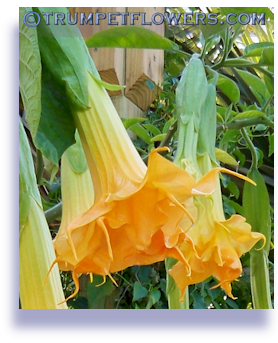 The tooth effect is mostly seen on in the inner whorl when the plant is creating a new branch, and they seem to disappear as it sends out new leaves. 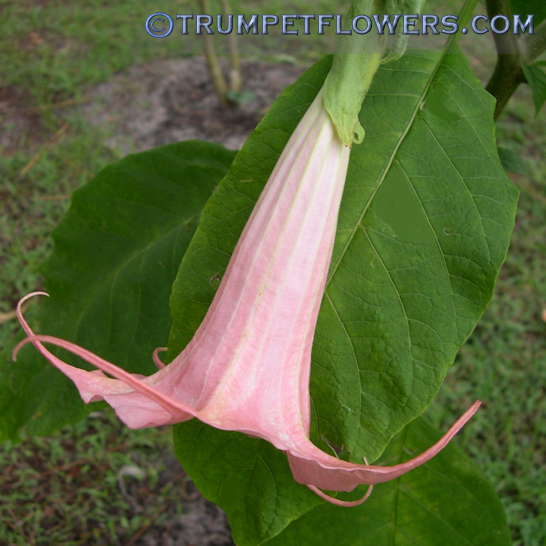 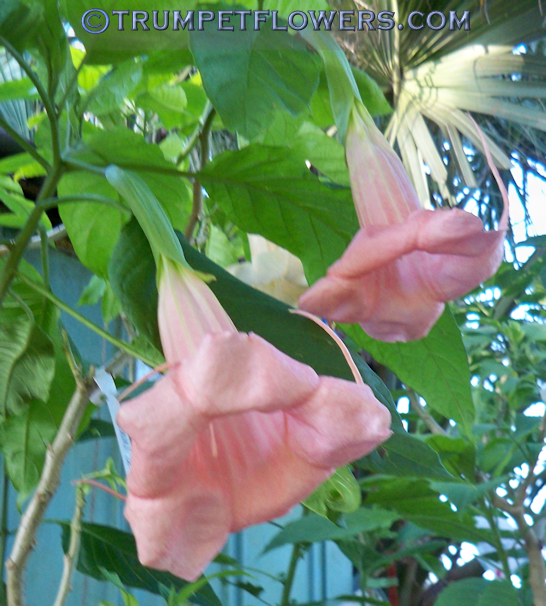 Ann Sessions brugmansia is a Liz Fichtl creation, named after J.T. 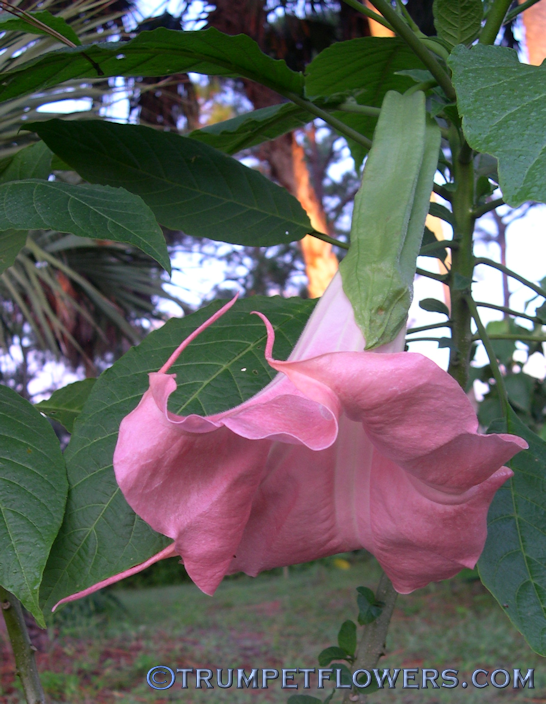 Session&apos;s wife. 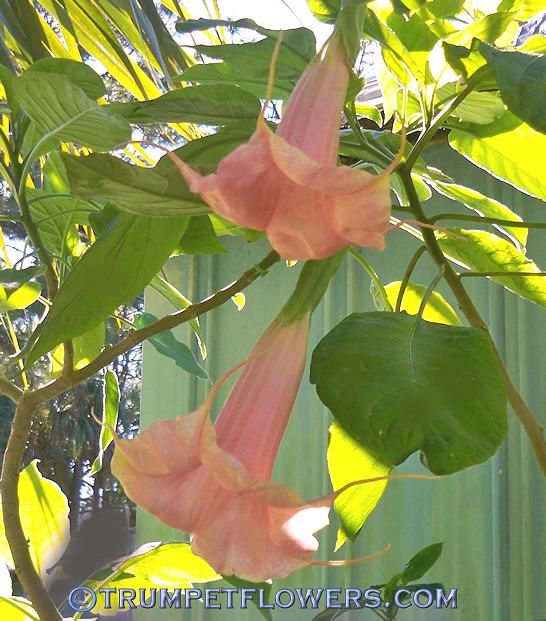 Ann Sessions bloodline is &apos;Isabella X L&apos;Amour&apos;. 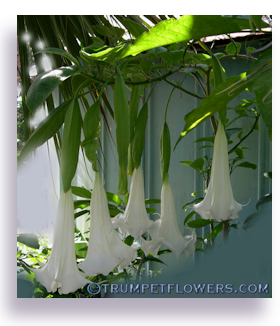 Photo of Ann Sessions Angel Trumpet taken just before dawn. 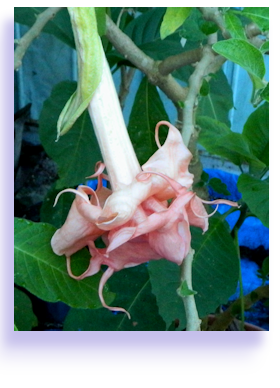 I love that she has lavendar tones, something I&apos;ve only seen in Taylor Dawn photos, when speaking of warm group brugmanisa. 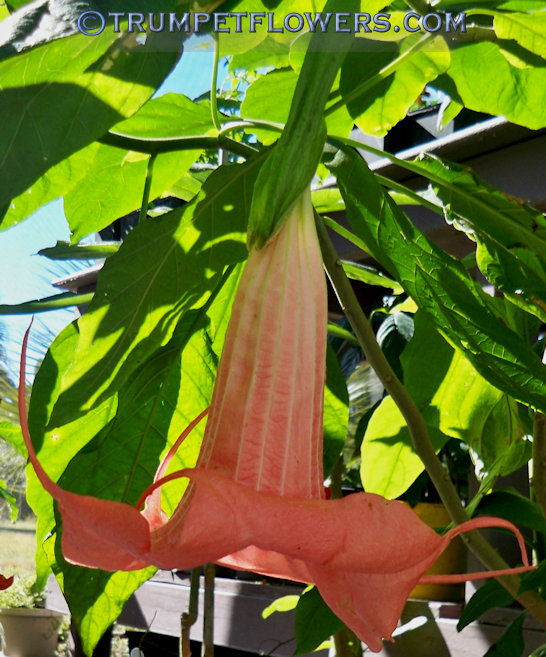 Ann Sessions Brugmansia leaf is long and almost blade-like. 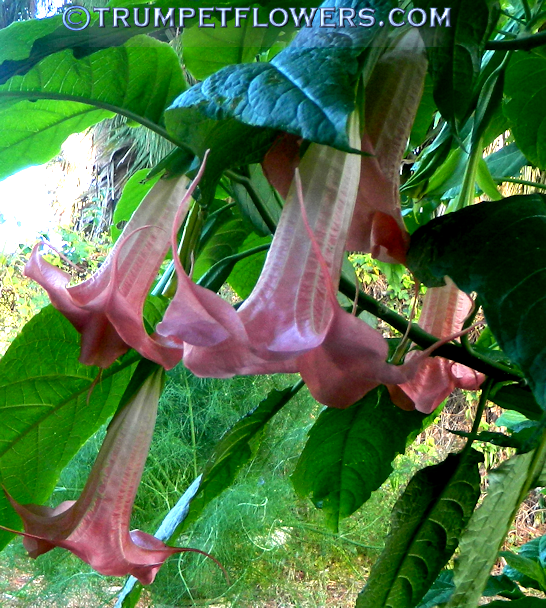 It is normally a nice deep green with a slight leathery feel.